Have you ever wondered what other uses there were for that empty space underneath the stairs? 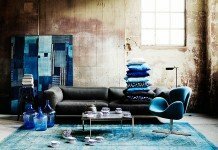 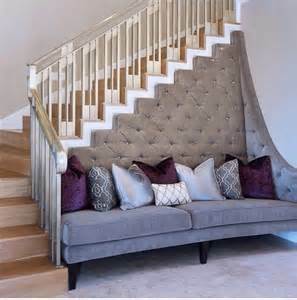 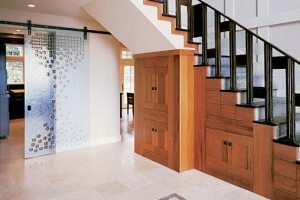 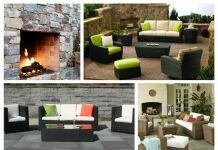 Depending on where your staircase is located there are a number of unique ways to use this space. 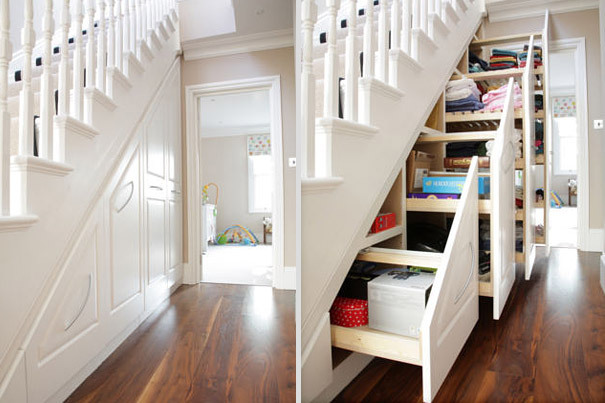 The area under your stairs can be transformed into extra storage, a cozy nook, shelving units or many other useful spaces. 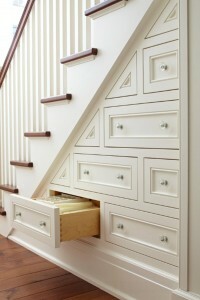 One of the best uses for the space under the stairs is for extra storage. 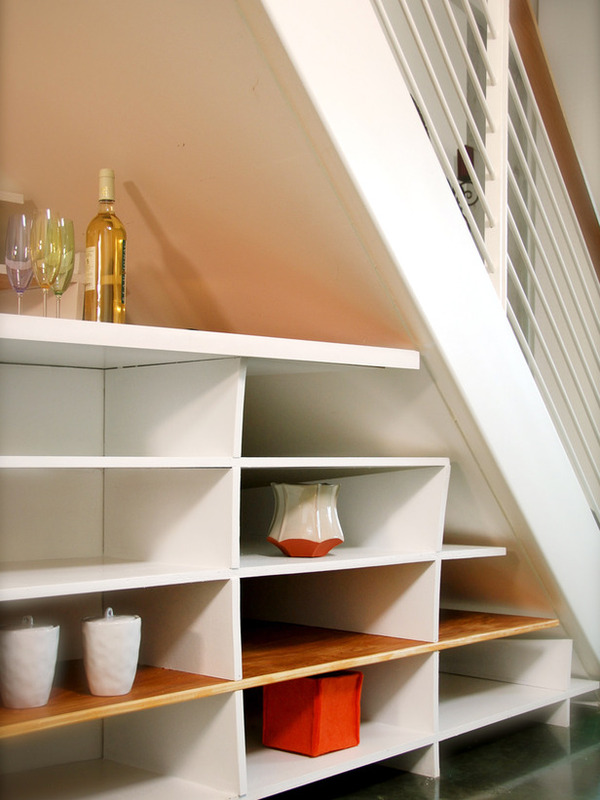 Carving out the space and installing cabinets and drawers makes the most of this area. 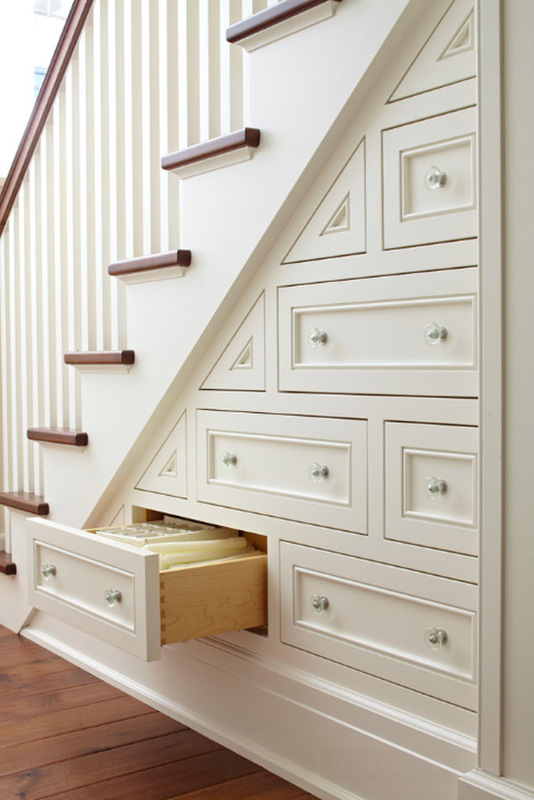 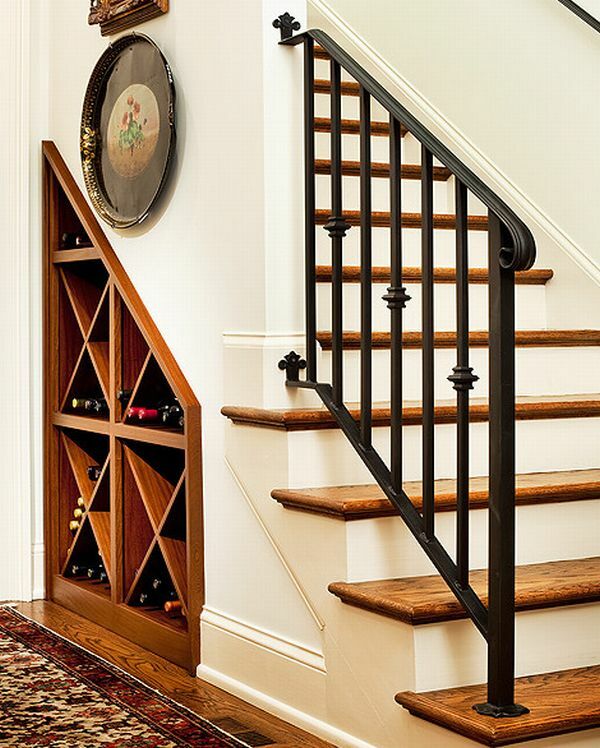 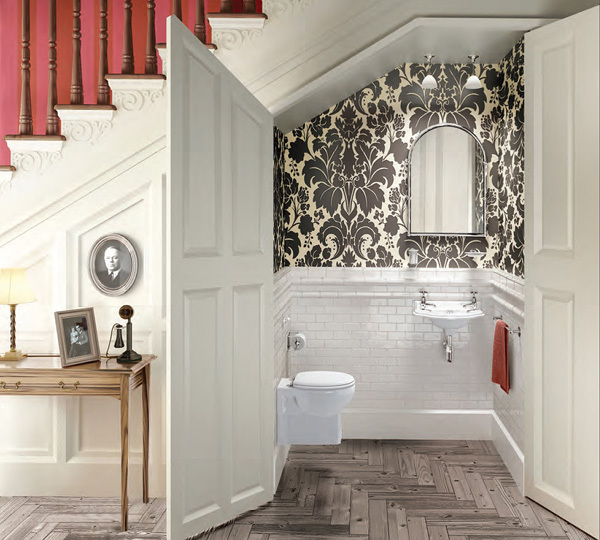 Design cabinetry that coordinates with the trim of your staircase and surrounding rooms. 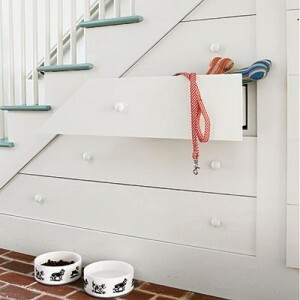 Use this storage for important household files, kid’s toys or for blankets and linens. 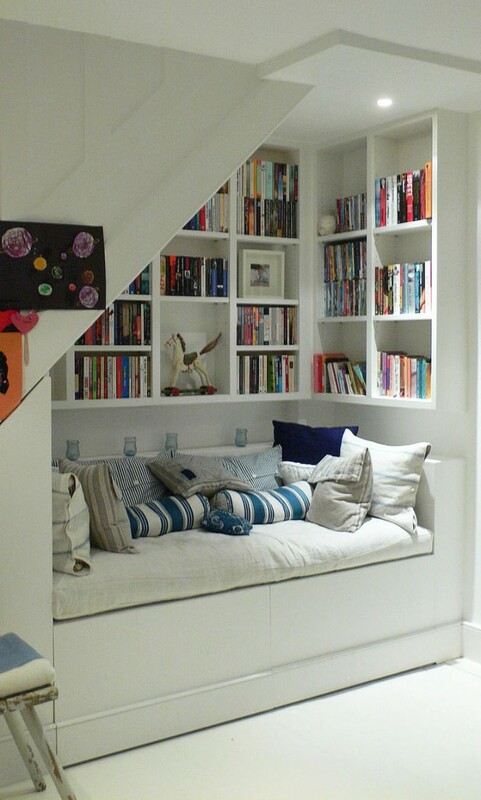 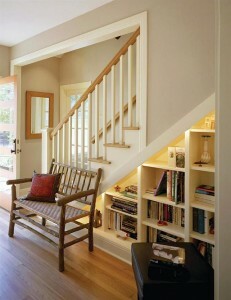 The space under the stairs is an ideal place for installing shelving for books or decorative accessories. 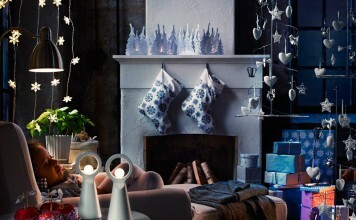 Using the space for shelves expands the area, making it a part of your living area. 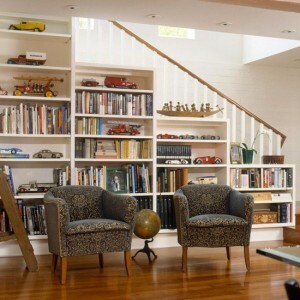 Integrate the shelving into an arrangement for the foyer by placing a chair and table beside the area. 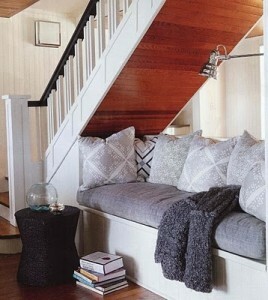 Create a cozy reading nook. Install a window seat and use plenty of soft pillows for cuddling up with a good book. 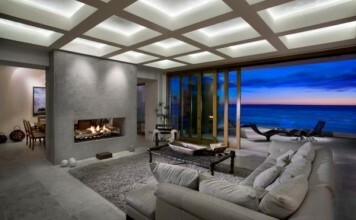 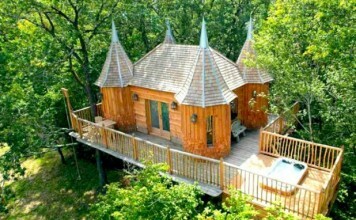 This makes for the perfect hideaway for children as well. 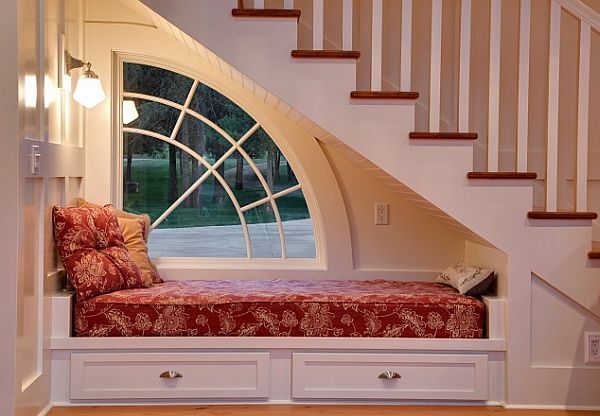 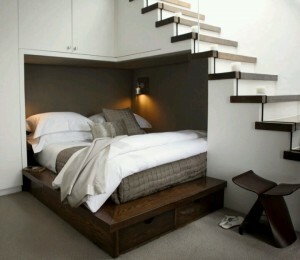 For the basement stairs, install a bed as an extra spot for guests or a child’s sleepover. 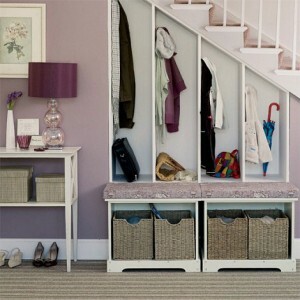 As most stairways are by the front entry, this is a convenient spot for a place to hang coats and store shoes and other items needed in a hurry. A coat rack system above a bench with cubbies is the ideal organizational tool. 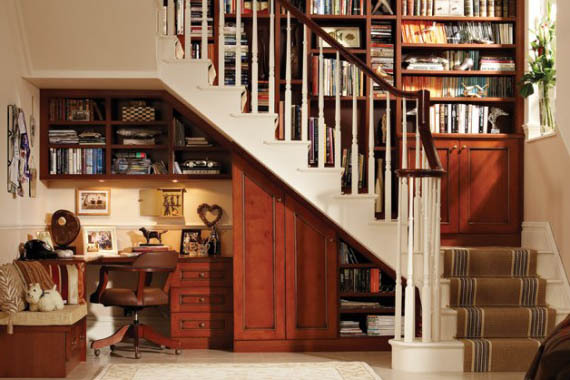 Carve out some personal space with an office. 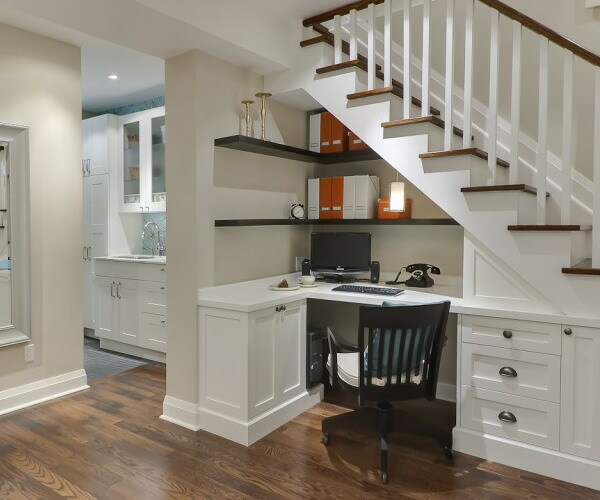 Install a desk integrated with file drawers or simply fit a table and chair in the space and add shelving to accommodate your office necessities. 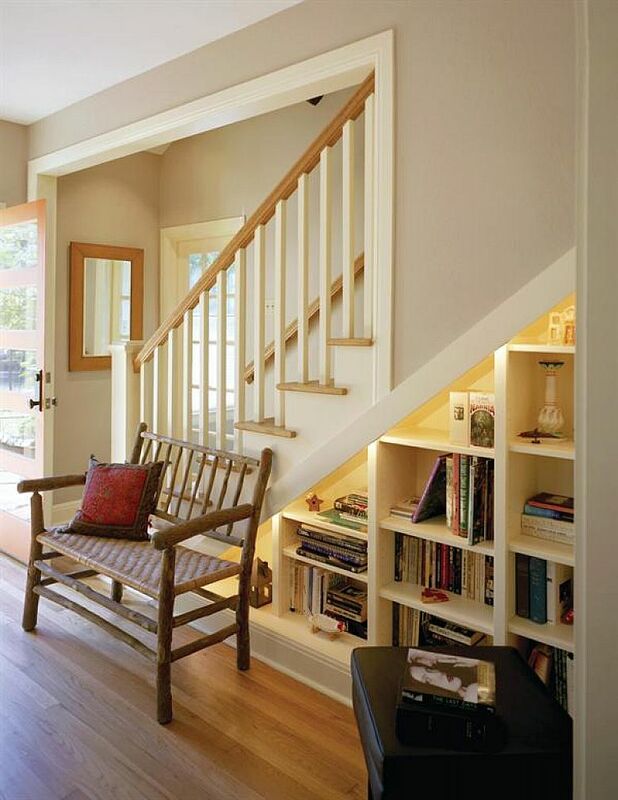 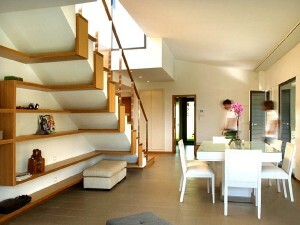 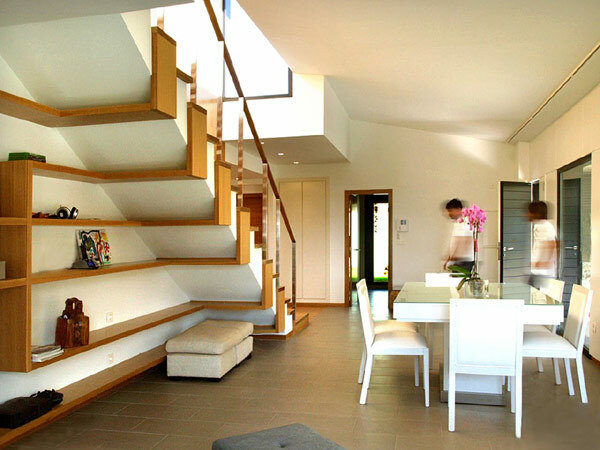 Taking advantage of the extra space under the stairs can open up a multitude of design alternatives. Storage, organization, shelving, cozy nooks or even a half bath are all great uses for this often underutilized space.